artwork: illustrations, cartoons, storyboards, moodboards, murals, webart and animations. 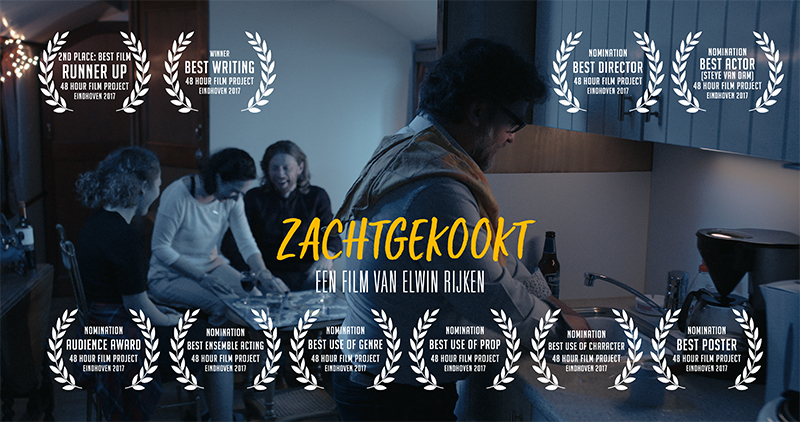 I directed the promotional trailer for the Eindhoven Film Festival 2018, check it out on the film page! 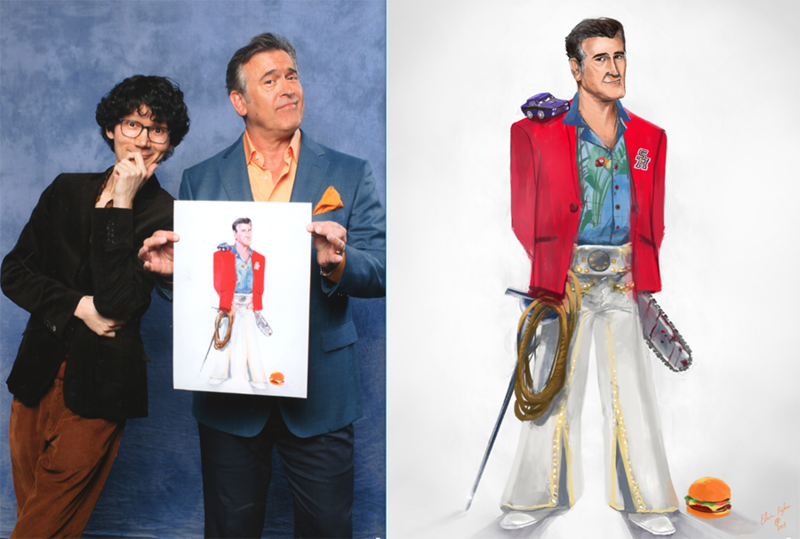 Meeting one of my biggest heroes, actor Bruce Campbell, and handing him over my drawing! Groovy! 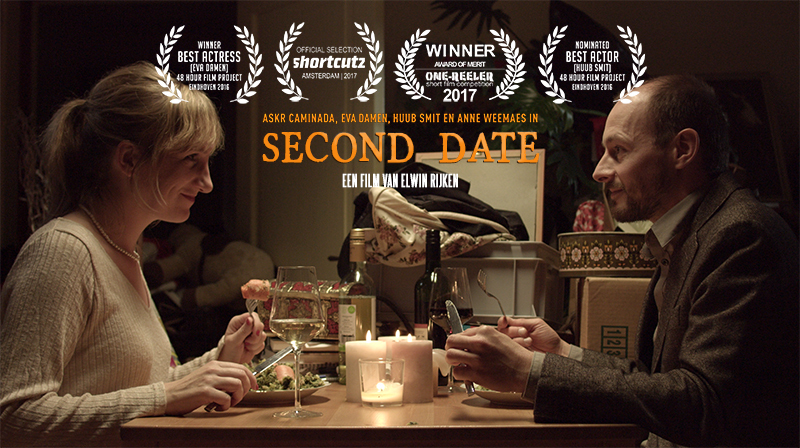 Marjolein van Panhuys and Mees Smits won a lot of prices and awards on the 48 Hour Film Project edition of Eindhoven 2017. I'm very pleased and proud of cast and crew. 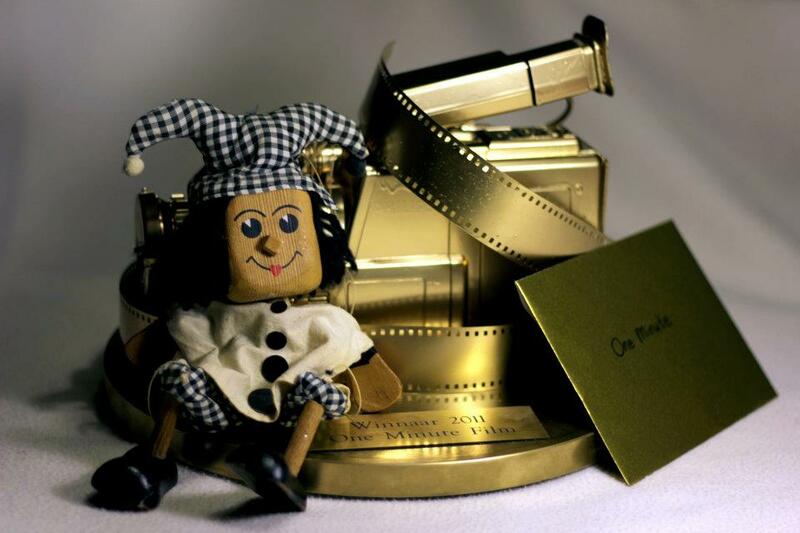 Now it's time for a directors cut and more festivals and screenings! 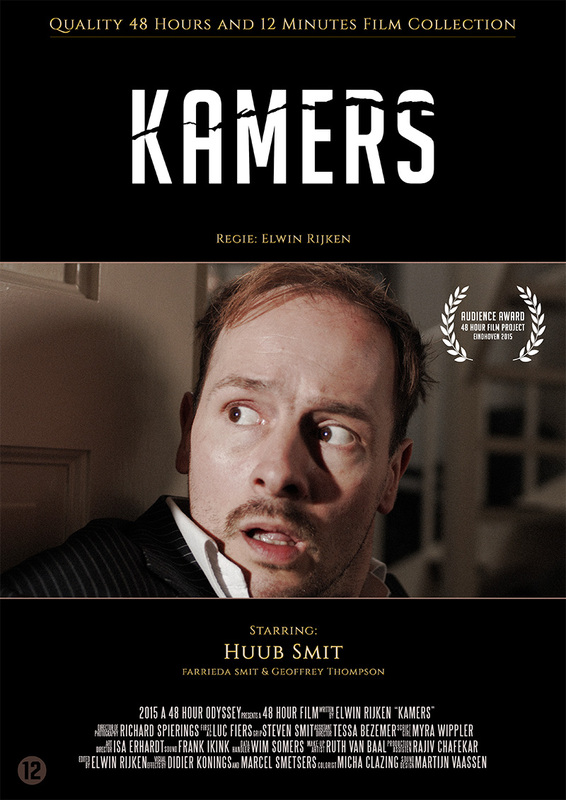 update 02-04-2016: "Kamers/Rooms" has been officially selected for Shortcutz Amsterdam 2016! I will be present during the Q and A, be there or be square! Check the eventpage here! 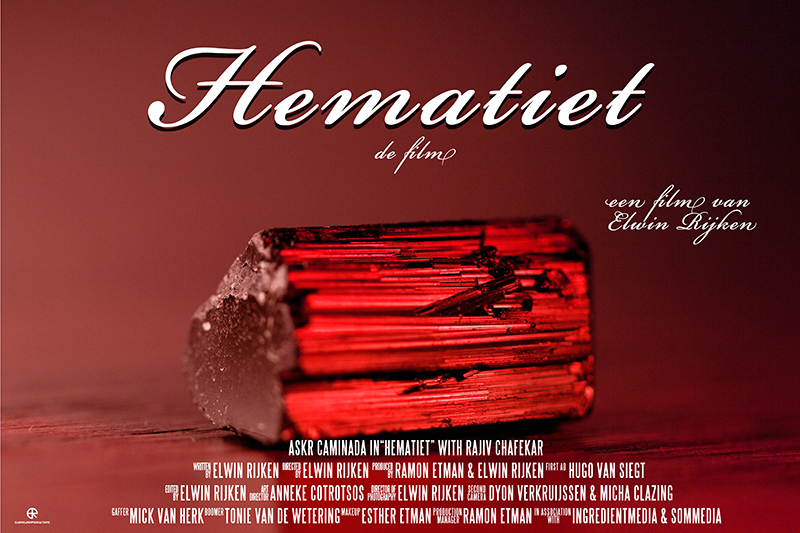 update 05-10-2015: My shortmovie 'Groene Getuige' / 'Green Witness' has been selected for the Eindhovens Film Festival! I'm very happy and proud to show this movie on this fantastic film festival. update 05-10-2015: new artwork added! 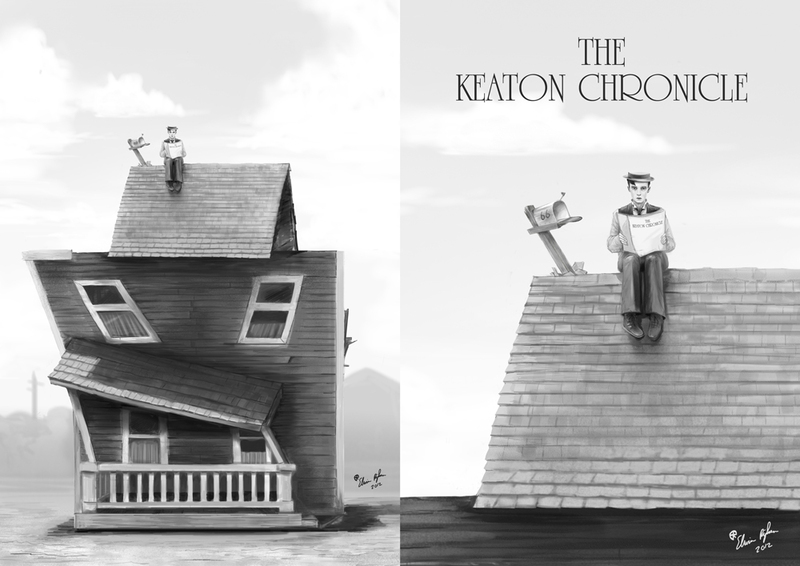 update 11-12-2012: My artwork submission for the Keaton Chronicle Cover Contest won first prize! Juryrapport: "The Damfinos are pleased to announce the winner of our 20th Anniversary Best of The Keaton Chronicle cover design competition. Volume 1 - to be published very shortly - will feature the fabulous work of Elwin Rijken. Many congratulations Elwin!"